sAs Senior Software Engineer at JBoss, a Division of Red Hat, Andrew Lee Rubinger is primarily responsible for development of the company&apos;s EJB 3.x implementation. 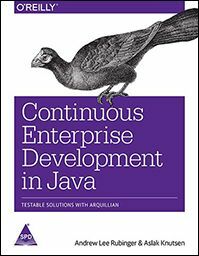 He was an early adopter of Java EE technologies and an active contributor in the tech community.Aslak Knutsen, the project lead of Arquillian, is a Senior SoftwareEngineer at JBoss, by Red Hat. He's involved in projects such asArquillian, ShrinkWrap, Weld and Seam 3, one of the founders of theJBoss Testing initiative and a speaker at major industry conferencesincluding Devoxx, JavaOne, Jazoon, JFokus, and Geecon. by GOPALAN N. P. |AKILANDESWARI J.